Bustling with vibrancy and allure, this Caribbean island offers a unique escape! Destination Bar/Bat Mitzvah in Curaçao! Home of the oldest synagogue in the Western Hemisphere, Curaçao offers an intriguing mix of cultures, historical interest, and the best diving and snorkeling in the Caribbean! Ellen discusses Bar/Bat Mitzvah options with the cantor at Curacao’s Congregation Mikve Israel. Your Bar/Bat Mitzvah ceremony will take place at historic Mikve Israel Synagogue, acknowledged as the oldest synagogue in continuous use in the Americas. Curaçao’s Synagogue, with its sand floor, is a living testament to the island’s Jewish history, which dates back to the 1600’s. The synagogue complex also boasts a Jewish Historical Cultural Museum which includes the remnants of a mikvah, or ritual bath, from 1728. The evocative museum is bursting with precious artifacts–still used today–from the early Sephardic community. Contact us now to plan your Curaçao Destination Bar/Bat Mitzvah celebration! Your family’s Bar/Bat Mitzvah celebration can be headquartered at one of Curaçao’s many resorts, or plan a family Caribbean Cruise that sails to this unique Caribbean island. A beach-front resort with all the expected amenities and more! This luxury resort on a private beachfront features a reef only 20 ft. from shore. Just 10 minutes from downtown and Hato International Airport, the Marriott offers pool, numerous restaurants and 5-Star PADI Dive and watersports center located by the beach on a natural coral reef. Contact Ellen now to explore your Curaçao Bar/Bat Mitzvah vacation options! 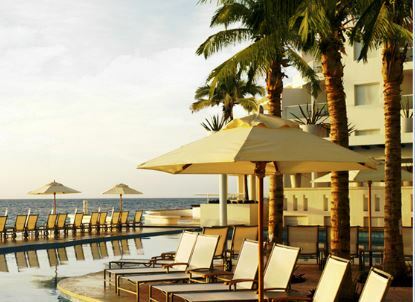 This moderately-priced all-inclusive resort is perfect for a family Bar/Bat Mitzvah celebration! The first Super-Inclusive resort in the Southern Caribbean, Curaçao’s native Dutch character adds a sophisticated new twist to the classic Breezes vacation. The resort sits on 1500 feet of pure white sand, beside crystal clear waters that have beckoned Scuba divers from around the world. And though the island is located just off the coast of Venezuela, it remains a largely undiscovered gem in the Caribbean. So you’ll feel like you’ve entered your own private sanctuary. Which is not far from the truth, since the resort is adjacent to a pristine Undersea National Park. As always with Breezes vacations, just about everything you can eat, drink and do is included, which makes Breezes Curaçao an ideal family vacation destination. 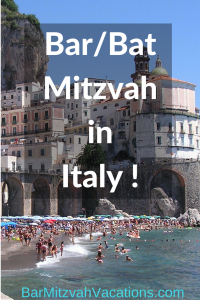 Contact Ellen now to learn more about a Curaçao Resort Bar/Bat Mitzvah Vacation! Your child can perform a Mitzvah by participating in a community service program at a school or non-profit organization in Curaçao. Once your Bar Mitzvah date is set, Bar Mitzvah Vacations will assist with all your plans, including working with synagogue staff to help choose a community service project. 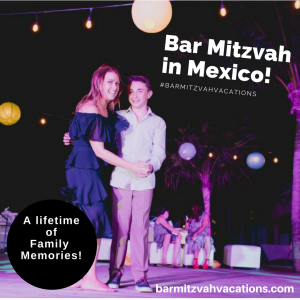 Bar/Bat Mitzvah Vacations will help you create a lifetime of memories for your child as well as for family members and friends who share in this important milestone. Your Bar/Bat Mitzvah celebration can be based on one of many Caribbean cruises that call into Curaçao. Bar Mitzvah Vacations can suggest several cruise itineraries that call into the port of Willemstad in Curaçao, and arrange for a cantor to conduct your Bar/Bat Mitzvah ceremonies onboard. Everything is arranged for you, from reserving the ship’s chapel for services, to reviewing your shore excursion options and booking restaurant reservations and spa appointments. You and your party of family and friends can relax and enjoy a stress-free Bar/Bat Mitzvah celebration, never to be forgotten! Contact Ellen to start planning your Curaçao Bar/Bat Mitzvah celebration now!